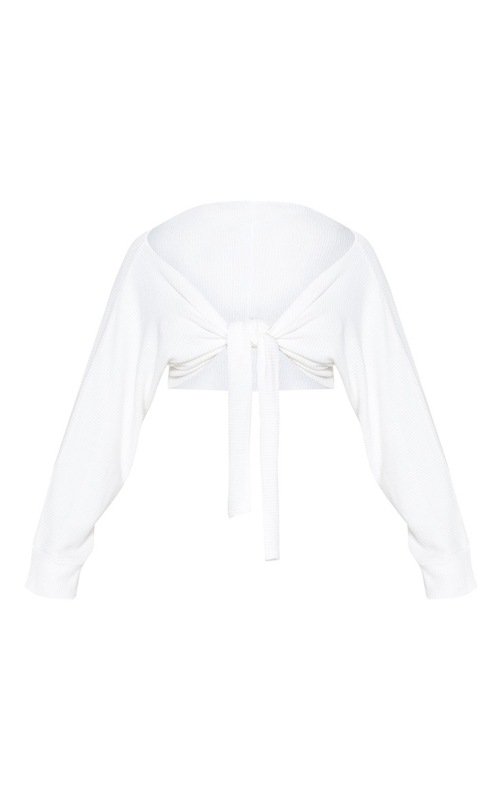 Keep your look simple yet chic this season with this crop top. Featuring a cream soft rib material with a tie front fastening and a cropped length, we are obsessed. Team it with the matching bottoms for a look we are loving.